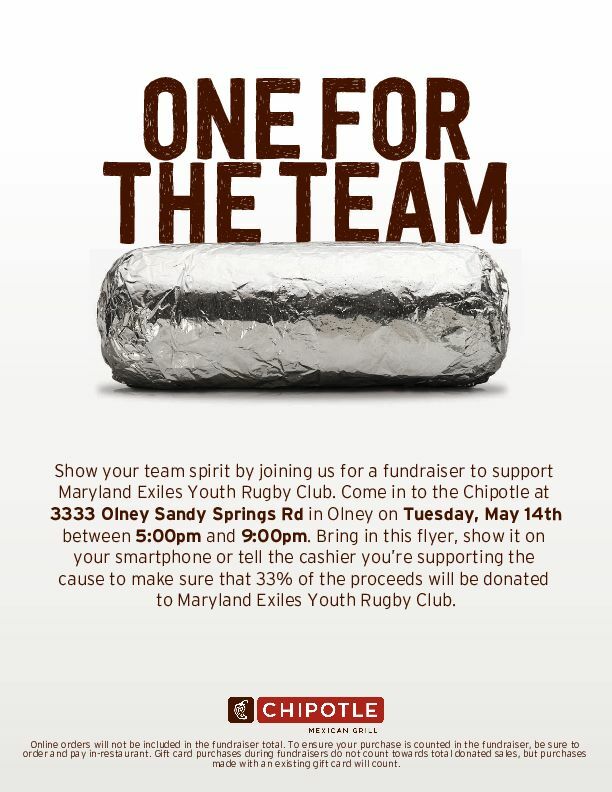 May 14th The Maryland Exiles will be taking over Chipotle in Olney for a Fundraiser. Bring family and friends to come support your club. The club gets 33% of the funds raised on this evening!